Curves helps women of All Ages, shapes, sizes and fitness levels. 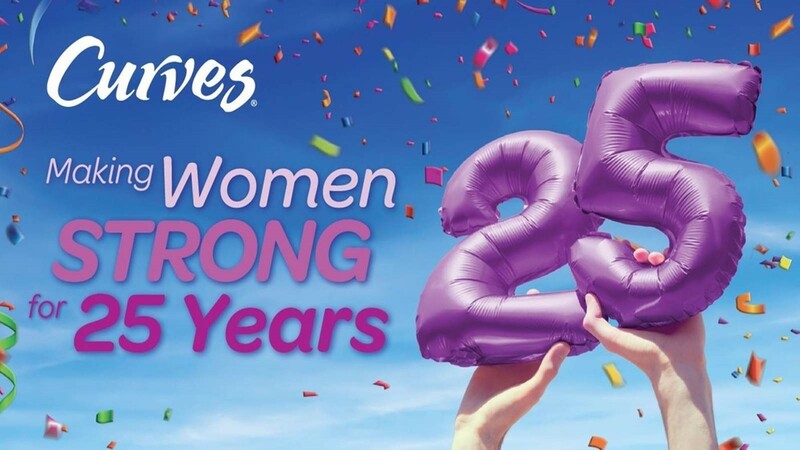 Established over 25 Years ago, Curves is a proven business model designed especially for Women, offering a supportive, welcoming and safe service environment to help our members achieve their goals. We empower women to transform their lives through regular 30-minute full body strength training circuits, working all the major muscle groups. Curves have over 4000 clubs in over 80 countries, becoming one of the largest fitness franchises in the world. A comfortable environment where women can get the exercise they need, together with friends, in just 30 minutes, the Curves workout has been proven to help provide effective weight loss, lean muscle production, contributing to healthy living in women of all ages and fitness abilities. Participating Curves centres offer Curves Complete, a fully integrated, personalized weight loss and weight management solution, that includes the Curves Fitness programme, customizable meal plans and one on one coaching and support for all members. When a member joins Curves, they join the family. Our boutique clubs foster a community of like-minded members, who support one another during their fitness and weight loss journeys. This combined with our Curves Circuit Coach who is there to teach and motivate, our members never feel isolated or alone, as they progress with their health and fitness. Our Curves circuit is designed for safety, simplicity and effectiveness. These machines adjust automatically for every woman and fitness level, combining the benefits of cardiovascular exercise with strength training through the safe movements of hydraulic resistance. This provides an effective workout whilst protecting the joints and increasing bone density. Specifically designed for women, every low impact machine works at least two muscle groups and as many as four. Our ‘next generation’ Curves SMART sensors provide instant feedback, precision workouts and progression reports to help our members achieve their goals and monitor their progress. What Support is Provided to me as a New Franchisee? We have a dedicated team of experienced specialists whose role is to ensure support in every aspect of running your Curves Franchise. A number of our team have opened and successfully operated their own Curves Franchises, so they know from practical experience the challenges you may face, and more importantly how to overcome them.